Beautiful 4 bedroom 2 1/2 bath Colonial. This home features so much! 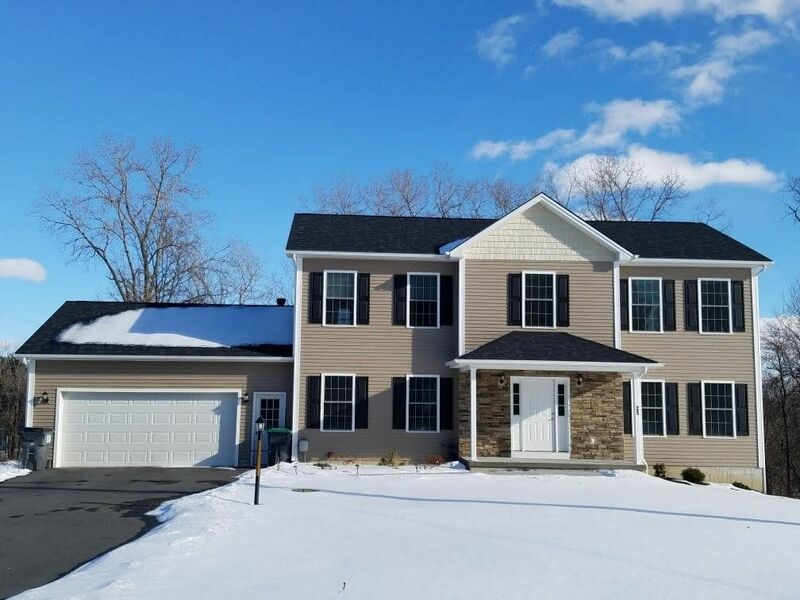 Bright open floor plan, hardwood floors, custom window treatments, lots of natural light, 2 car attached garage, 2nd floor laundry and a walk out basement. The kitchen features granite counter tops and high quality stainless steel appliances less then a year old. Large master suite with a walk in closet and full bath featuring tile floors, double vanity and a new Kohler shower door. Over half an acre with a back deck, paver patio and tree lined backyard. Shen schools and close to all local shopping! Directions: Farm to Market Rd to Smith Rd.